Last October, Healthcare.gov launched and invited uninsured Americans the opportunity to visit the marketplace and purchase health care coverage. Due to glitches found on the website, the Obama administration and many other states decided to extend the registration deadline to December 23, so Americans would have coverage by January 1, 2014. It has been two weeks since the January 1st rollout began and conditions have been confusing to say the least for Anthem Blue Cross Blue Shield and many other insurance companies, according to an article from the Los Angeles Times. A large amount of newly enrolled Americans don't have health insurance identification cards yet, causing some them of them to put their doctor appointments on hold, or pay for prescriptions out of pocket. Bill Strong, a California resident who recently registered for Blue Cross Blue Shield for his family, is on a time-sensitive schedule. His daughter has spinal muscular atrophy, a rare disease that uses treatment options like a $4,000 injection. The family was forced to sign up via Healthcare.gov because their old health insurance plan didn't meet the Affordable Care Act's standards. "The company is not set up to handle the volume coming through," Strong told the source. "It's creating a lot of stress on us we don't need." Health insurance companies were aware that a surge of health insurance registrations would arrive in late December, but many providers are still processing these requests. 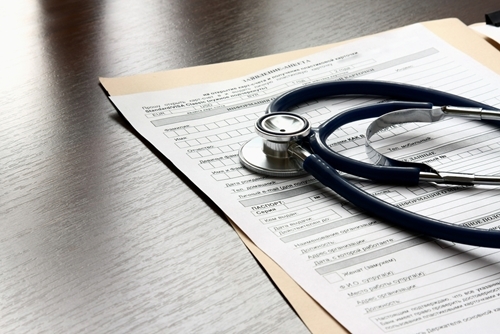 Hospitals and practices should be aware of possible discrepancies at this time, giving patients the time they need to have health insurance documentation available, then bill them accordingly. Whether or not hospitals decide to give extra time to these affected parties, it is likely that many patients will refuse to pay for their treatment until they settle the battle with their health insurance provider. Accounts receivable outsourcing can provide assistance in the near future, once delay of payments get overwhelming.